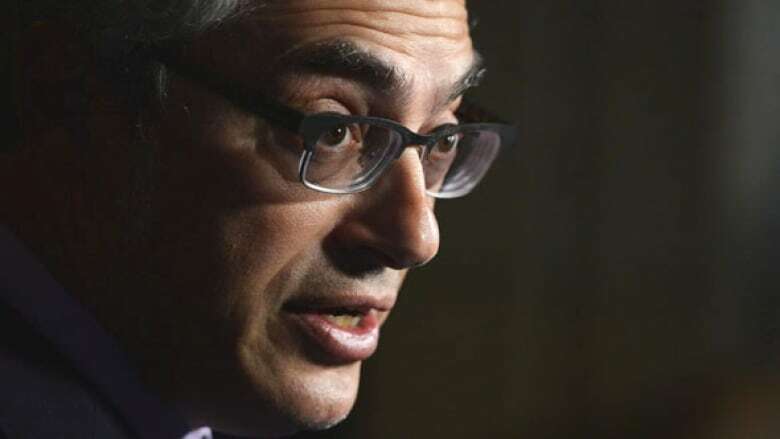 When MP Tony Clement revealed he was extorted after sharing sexually explicit images and a video with an individual online, Kim Fox said her initial reaction was: "It was only a matter of time." Kim Fox says she wasn't surprised when Conservative MP Tony Clement issued a statement admitting he shared sexually explicit images and a video with an individual online. He also claimed he had been financially extorted over it. That's because, she says, the politician is known for "aggressively" liking people's posts on Instagram — something Canadians, especially women, have been talking about openly on Twitter since news of the scandal broke. Clement, who was booted from Conservative caucus on Wednesday, did not immediately reply to As It Happens' request for comment, but he told the Globe and Mail: "I would say I like all sorts of pictures on Instagram. I've never sent unsolicited harassing messages, ever." Fox, an editor at the Philadelphia Inquirer who used to work for the CBC, spoke to As It Happens host Carol Off about her online interactions with Clement. Here is part of their conversation. When the news broke that Tony Clement admitted he had shared sexual images and a video of himself with someone online, what did you think? Obviously, I think a public figure should have better judgment than that, but based on my experiences and those of folks I know, it wasn't that much of a stretch. It would have been about three or four years ago. I noticed that Tony Clement was following me on Instagram. I noticed just after a few months that there would be these cycles of like a barrage of "likes" on pictures. At first I just, I kind of laughed it off and I thought, well, either, he's got some bad staff or there's bots or he doesn't know how Instagram works, and I really gave him the benefit of the doubt. And then as it started to become more frequent and I was talking to some of my female colleagues and folks who either worked in media or just outside the parameters, and they were experiencing the same thing. It kind of made me uncomfortable. In the grand scheme of things, there's nothing wrong with liking things on social. But I think, you know, that kind of aggressive behaviour, repetitive behaviour is odd for anyone, never mind a public figure and politician. Did it progress from there? Did you get more uncomfortable? He never messaged me. He never sent me any inappropriate pictures and no one I know of experienced that at all. But it was just an ongoing thing. When the news came out, immediately a couple of folks that I had these conversations about had sent me the story and we all commented how it was, sort of only a matter of time. What do you mean that it was only a matter of time? Social is about good judgment. It's about how you conduct yourself. I think a good measure is to ask yourself, "If I conducted myself like this offline, if there was a woman who I didn't know and I just started getting in her face at a public event like all over about topics, would it make her uncomfortable?" The answer is probably yes. My big question is ultimately, did he conduct himself like that towards men? If the answer is yes then, he just needs a lesson on how to use social overall more appropriately and on communication. If it's just targeted towards women, then I think that's a real problem. Why did you want to speak out about it? I'm growing really tired of laughing off this kind of behaviour. I'm a 43-year-old woman. I've spent many years tolerating that behaviour or behaviour that's questionable. And you learn to navigate around that and excuse it. And I think if anything the last year has taught us is it's time to speak up and it's time to no longer normalize this kind of behaviour and call people on it. I have a right to exist in a safe space. I have a right to have social channels where I don't feel like somebody is aggressively all over me on them. I have a right to just be a woman and live my life.